More of a "clean" look from me today! Don't you just love the cute Bountiful Basket, it can be used for so many different occasions and would make a wonderful Party/Wedding/Shower Favor. 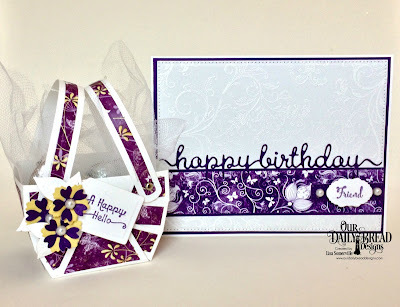 You can use the die alone or use it with the layering dies as I have done here. 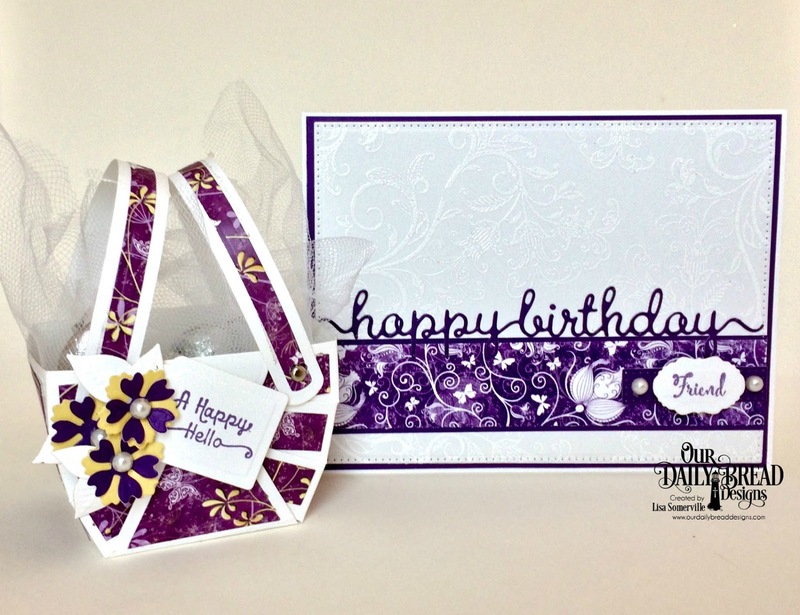 To create the birthday card, I White embossed the floral image from A Happy Hello, then added strip of pattern paper, a stamped label and embellished using the Happy Birthday Script die.